Get yer aces over to Baron Samedi Friday May 1! First there was Sigur Ros, then there was Hjaltalin! To fans of American punk and alt-country traditions, John Doe is legendary. 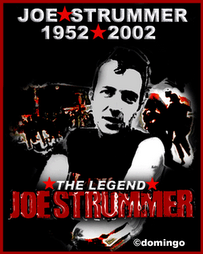 He was the bassist and vocal counterpart to the inimitable Exene Cervenka in the influential ‘80s LA roots-punk band X. But it was in a 1986 X side project, a band called the Knitters and an album called Poor Little Critter on the Road, where his potential for a more stripped-down, raw but full country vocal style unveiled itself. That potential was perhaps clearest in his reprise of Merle Haggard’s heart-strumming ballad about airplanes, seen as symbols of love lost and omens of loneliness. Yet it wasn’t until four years later that Doe would set out on a mainly alt-country solo career with his well-received debut album Meet John Doe (Geffen). Eight consistently strong albums later, we find the mature Doe at home in the genre, while demonstrating his individuality. Doe’s eighth release Country Club, with Toronto-based band the Sadies, hearkens back to the Knitters period and his budding love affair with country classics. It features hits by Waylon Jennings, Johnny Cash, Tammy Wynette, Merle Haggard and others. The result is impressive overall. For some, Doe’s voice is as recognizable as greats like Johnny Cash, Willie Nelson, or Hank Williams, or Nick Cave, Tom Waits or Neil Young. It’s often described as “leathery.” Indeed, there’s a rumor of Mike Ness scruff to it, but counterbalanced by a full, nearly crooner-like quality at times. That fullness is decidedly pronounced on tracks such as Hank Snow’s “Now and Then, There’s a Fool Such as I Am”. In the more up-tempo songs, his voice can’t hang on half- and whole notes, yet that deep sometimes nasally quality gives these classics a refreshing twist. Indeed, his style across these songs seems to oscillate between models of Merle Haggard and a more sandpapered but equally full Johnny Cash, albeit with a dose of twang-remover applied. REad on here. GET YOUR TICKETS WHILE THEY LAST. DEERHUNTER THE NEXT NIGHT, SAME VENUE. I like Mecanique Ondulatoire, the venue where I saw the ascendant fuzz rock royalty A Place to Bury Strangers, but by most standards – with just a 150-person capacity—it is too small for this band. (APTBS played Paris last November in the Nouveau Casino, a 400-person capacity venue.) Descending into the MO's basement concert lair, with its arched form of huge sand-colored rectangular stones, the mind rifles through past pop images of medieval torture chambers, even if this evocation is minus the iron maidens. And with a sardine-packed sold out crowd inside, the venue is more a closed-off tunnel than a room. What does all of this matter for the concert? Acoustics and your bodily sensorial experience with the music—that’s what. Next week the excellent Camera Obscura twee their way to the Maroquinerie for the Inrocks Indie Club show. Get your tickets here now. It will sell out. Hey, Camera Obscura girl, will you go with me? For those of you with a penchant for 80s American punk rock, don't miss the hugely important Agent Orange at Pena Festayre, Sunday April 12. Google it. The Whitest Boy Alive, April 15, Maroquinerie. Features Erland Oye of Kings of Convenience minor fame. Of course this guy's Norwegian and has racial guilt, as he should. Erland has taken his guilt and re-located to the capital of Teutonic hipness, Berlin--mais bien sur. Naw, they're good. More for you indie-lovers with a punk side: NOFX, April 23, Bataclan. Bonnie Prince Billy (fabulous Will Oldham formerly of Palace): April 24, la Cigale. Also get tickets for Andrew Bird at La Cigale April 27. Whoops just checked and it's sold out. Try putting an announcement on Craig's list Paris. If you can read French, check Les Inrocks forum. People announce tickets there, too. Or just show up. People always have tickets to sell. May 1: Djay Indie Eclectique (DIE) at Le Baron Samedi for a special tribute to the Workers of the World on International Labor Day/May Day. Plus a lot of soul and garage gems. 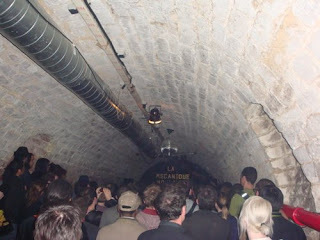 May9 Djay Indie Eclectique at Planete Mars (Bastille quartier), 24 Rue Keller: Indie Cornucopia. Steckarr says: "If you're into Bloomington acoustic-folk-punk, Defiance, Ohio will be at Pena Feystare on May 9 with Madeline." Social Distortion, June 8 at Bataclan. Tickets here. I'm out of town next week. Then I've got a few dj gigs in May, starting May 1, International Labor Day, at the relatively new and fabulous Le Baron Samedi on Rue des Goncourts, just a stoner's throw from Metro Goncourt. Don't miss all my mod and soul garage gems for this night (think Etta James, Wanda Jackson, The Sonics, Detroit Cobras, Bellrays) plus random songs about work. Cultural globalization spurred by the development of new media technologies like the Internet was the best thing to happen to Scandinavians since strawberry-bearded Beowulf slayed Grendel. Years could pass without a Scandinavian band ever getting a review in a major Anglophone publication, to say nothing of places on record shelves. Once it was represented almost exclusively by Abba. Now just look at the number of them charting and trendsetting. To name some: The Hives, the Raveonettes, Dungen, Peter, John & Bjorn, Jose Gonzales, Taken by Trees, Tobias Froberg, Sigur Ros, Lykke Li, Loney Dear, the Kings of Convenience, and the Shout Out Louds. I could go on. Add another promising Viking contribution: I Was a King. A Place to Bury Strangers at La Mecanique Ondulatoire Tonight. If you like the Jesus and Mary Chain, My Bloody Valentine, and a louder "wall of sound" Raveonettes, check this band. They are the torchbearers of contemporary melodic noise rock. High feedback, but catchy. Bring earplugs or roll up bits of toilet paper. This venue is smaller but well worth a look if you don't know it. Ahoy, twee lovers! Next Thursday April 16 check out Camera Obscura at La Maroquinerie as part of a great Inrocks Indie Club show. Unfortunately I'm out of town for it, so enjoy for me! Look for advanced tickets for upcoming Yeah, Yeah, Yeahs and Social Distortion shows.